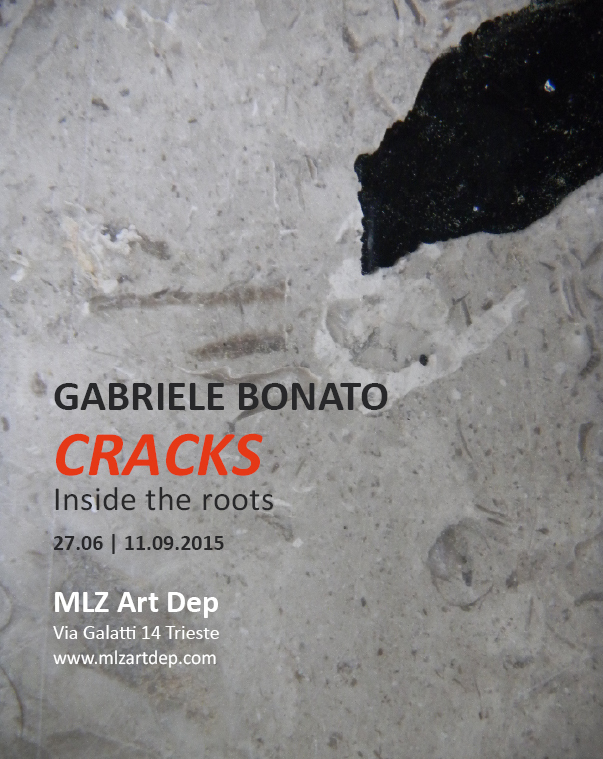 Saturday June 27 2015 MLZ Art Dep presents CRACKS, Inside the roots, the latest solo show by Gabriele Bonato. From Michelangelo to Canova, through Gian Lorenzo Bernini’s polymorphic sculptures, the exhibition explores their cracks, fathoms their marble’s veining and the pores of stone carved to resemble man. With the subtle appearance of a painting but, at the same time, the heaviness of tragedy that is a prelude to consecration or condemnation. The color palette is bare, the sign hesitates, embracing tones of blue and gray to dissolve into the silhouettes of unfinished bodies and petrified faces, where the light restores their original tridimensional quality. Bonato hits the smoothed-out matter with the strokes of his brush that bridle his peculiar practice within a strange colored netting, in which everything apparently gets trapped. All around, only darkness: the darkness of the silent museum depots in which fragments of sculptures and plaster casts lie idle, disregarded by the crowds urged to the entrance door by the desire to see the simulacra they have already consumed through the tools of the digital era. Bonato, starting from a meticulous research of photo archive shots collected on the Internet, highlights their details and profiles, bringing them back to life. On display about ten oil on canvas paintings in various formats, that anticipate a surprising shift towards an installation practice that the artist has never shown before. And that very stone that inspires his canvas paintings turns into a pictorial space, a space with which Bonato seeks to establish an unusual exchange. 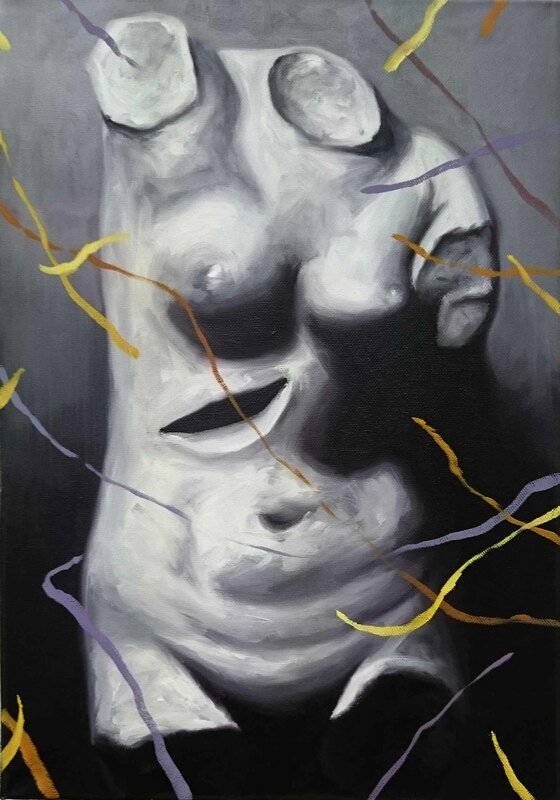 Gabriele Bonato, born in 1980, is considered one of the most talented and interesting painters of the new art scene in Italy. He is a recipient of the Terna Award for Contemporary Art, and has taken part in numerous exhibitions at prestigious private galleries and international public spaces, including Rome’s Palazzo delle Esposizioni and the Chelsea Art Museum in New York. His work has been displayed at contemporary national and international art fairs, from Arte Fiera in Bologna to Miami’s Pulse Art Fair. His paintings are featured in important collections such as the Terna and the Finstral collections. 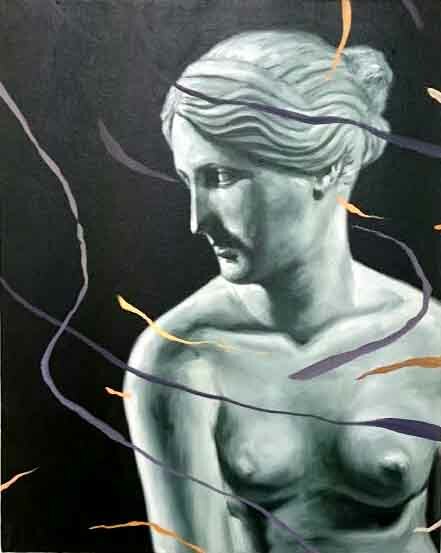 Recently one of his paintings appeared on the set of the Oscar-winning film The Great Beauty by Paolo Sorrentino.